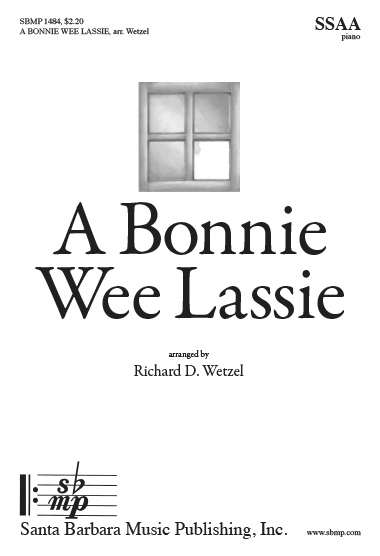 A Bonnie Wee Lassie, arr. Richard D. Wetzel | Santa Barbara Music Publishing, Inc. Lived in a house where her grandmother dwelled. Having four panes one needed a glass. That sweet little window where grandmother dwelled. Before going away just to give me one kiss. “That I will, Nellie,” he answered her true.
. He gave her three kisses, and great was the smack! He ripped and he tore, and he cussed and he swore. Grandma heard the racket and came through the door. She picked up the ladle from out of the pot. She picked up the poker, and a lick she gave one. Another like that would have broke his backbone.